Having your pet professionally photographed is an investment. 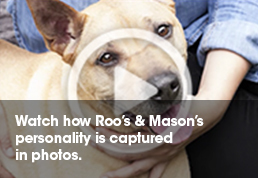 Make sure you hire someone who specializes in capturing pets in a way that will make you smile. So, how do you find the best fit for your furry pal? Ask these questions and you’ll be sure to find the best pet photographer for your non-human friends. 1. How much of your work is dedicated to pet photography? Dogs and cats aren’t inclined to stay in one place; they smell things and chase balls! 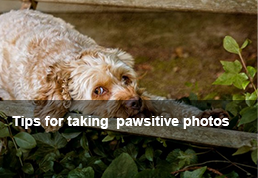 Check the photographer’s website to verify that they indeed have experience producing the kind of photography you would like for your furry friend. Your photographer should be used to working with animals and engaging with them to bring out their unique personality and beauty. Pets are very special beings. Until you have one of your own, you never truly understand them. That’s why photographers who have pets often relate better with your furry friends. They’ll know how to put you two at ease and capture the most natural-looking photographs. 3. Are you with PPA (Professional Photographers of America)? PPA photographers do more than just snap pictures. They have the training, experience, and equipment to produce gallery-quality portraits. And they have to abide by a strict code of ethics. They will not only provide you with images that you never thought possible, they will take care of fine-tuning your images: removing eye bugs, the leash, people in the background or enhancing fur details and colors. 4. How will you bring out and capture my pet’s personality? The goal is to determine how well-prepared the photographer is. Does he/she have goodies for their furry subjects or props to create unique shots – treats, squeaky toys, balls, blankets and more? 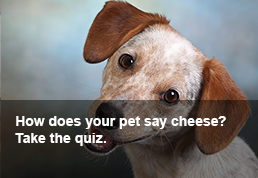 And if they don’t know your dog’s breed, how will they prepare to best interact with them? A photo session with a German Shepherd is very different than one with a Chihuahua. A well-trained German Shepherd can hold poses for long periods of time whereas a Chihuahua is food motivated so stinky treats are a must. 5. Can my pet & I meet with you before we book our session? 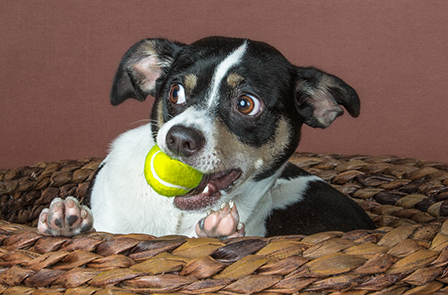 Your pet photography session should be a fun, comfortable experience for you and your pet. If your pet doesn’t like your photographer, there’s nothing that will change your pet’s feelings. 6. Where and how will you photograph us? Professionals will photograph your furry pals wherever they can be themselves and their spirit and personality can be captured. Sessions can be done in your home, in your back yard, in a park or in a studio. Pros know how to adapt to their surroundings and make lighting adjustments in any situation. Most pet photographers will spend time getting to know you and your furry pal before your session. This is so they can learn about your dog's personality and make sure your pet feels comfortable with them and the environment. Throughout the photo shoot, they will use positive energy, toys, treats and fun to engage with your pet and capture images that best express your dog’s personality and your relationship with them. 7. What’s the time limit on the photo session? Dogs will be dogs and cats will be cats. They do what they want to do and they really don’t care if the clock is ticking. Let’s say you book a “mini” 30-minute session and right when the pet photographer says “time’s up”, your pet does the most adorable pose ever! Professional pet photographers know and anticipate these things and as such, should put you at ease, so that your expectations are understood and met. 8. How much is the session? And what about prints? Don’t be fooled by seemingly super low rates. A lot of photographers undercut their standard session fee because they aren’t running a legitimate business or don’t have the experience. Make sure you convey your own expectations clearly. This goes for your session timing, budget, image printing, delivery methods, timelines, etc. Ask to see recent clients’ proofing galleries. You’ll see a variety of poses and settings that will help you determine if the photographer represents the style you are looking for. 9. If it rains, what’s your plan B? Do we reschedule the session? What’s the photographer’s plan B in case something messes up an ideal outdoor location? Will he/she still be able to produce good images with a muddy or drenched pet? What’s included in the contract? Knowing how prepared your photographer is and asking for the details to be spelled out is very important. It goes back to setting and sharing your expectations clearly, so that your photographer can meet or even surpass them!